Special agents Nicholas Drummond and Michaela Caine take on a ruthless mastermind in the fifth highly anticipated thriller in the New York Times bestselling A Brit in the FBI series. When several major political figures die mysteriously, officials declare the deaths are from natural causes. Then the German Vice-Chancellor dies on the steps of 10 Downing Street, and a drone is spotted hovering over the scene. The truth becomes clear—these high-profile deaths are well-constructed assassinations, and the Covert Eyes team is tasked to investigate. With the help of Dr. Isabella Marin, a young expert in the enigmatic Voynich Manuscript and cryptophasia (twin language), Nicholas and Michaela home in on Roman Ardelean, a wealthy cybersecurity genius and a descendant of fifteenth century Romanian Vlad the Impaler—often romanticized as Dracula. Ardelean believes the Voynich Manuscript will unlock the secret to curing his severely ill twin brother’s blood disorder and is willing to murder anyone who gets in his way, including Nicholas and Michaela. Along with MI5, the Covert Eyes team must race against the clock to find Ardelean before he unleashes a devastating attack on London intended to destroy those he believes betrayed him. With heart-pounding tension and gripping suspense, New York Times bestselling authors Catherine Coulter and J.T. Ellison “are really on an amazing roll with their outstanding A Brit in the FBI series” (RT Book Reviews). New York Times bestselling author J.T. Ellison writes dark psychological thrillers and pens the Brit in the FBI series with #1 New York Times bestselling author Catherine Coulter. With millions of books in print, her work has won critical acclaim, prestigious awards, and has been published in 27 countries. She is also the EMMY-award winning cohost of the premier literary television show A Word on Words. Ellison lives in Nashville with her husband and twin kittens. Visit JTEllison.com for more information, and follow her on Twitter and Instagram @ThrillerChick or Facebook.com/JTEllison14. "The character building in this book is absolutely fantastic...Completely gripping from the first page to the last. This book adds another outstanding chapter to this phenomenally thrilling series. Not to be missed!" "The mix of history with the modern technology generates both horror and thrills...another amazing entry in this ongoing series." 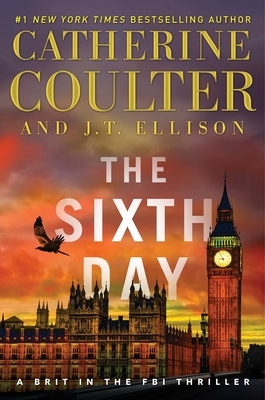 "With Coulter and Ellison once again pairing up to create this tension-filled, thrilling plot, readers will be hooked until they come to the ultimate, unforgettable conclusion." "Coulter and Ellison smoothly mix contemporary political issues with eerie historical legend in this fast-paced outing sure to appeal to fans and newcomers alike."